The Trop Rock Music Association (TRMA) is a membership-based organization whose mission is to provide a venue for the promotion of Trop Rock music, promote public awareness, and increase the viability of the genre. Dedicated to building and promoting the Trop Rock genre and the individuals who participate in that industry, the Trop Rock Music Association works closely with artists, radio stations, venues, festivals, retailers, media and others to help organize and build the infrastructure necessary for Trop Rock music to achieve success and recognition internationally. The TRMA began in 2005 as the Margarita M.A.F.I.A. (music, artists, fans in alliance), which was formed by Tom & Michelle Becker, as well as many others, to help advance the Trop Rock genre. Two years later an annual award show was created (now known as the TRMA Music Awards) to recognize the singers, musicians, fans, radio stations, venues and others in the genre. In 2012 the Margarita M.A.F.I.A. changed it’s name to the Trop Rock Music Association to better describe it’s overall purpose. Due to the significant growth of the genre, in 2018 the organization decided to further expand by creating a new Board of Directors, logo, website, mission statement, and establishment as a 501(c)6 nonprofit organization. The Trop Rock Music Association is a membership-based organization whose mission is to provide a venue for the promotion of Trop Rock music, promote public awareness, and increase the viability of the genre. Dedicated to building and promoting the Trop Rock genre and the individuals who participate in that industry, the Trop Rock Music Association works closely with artists, radio stations, venues, festivals, retailers, media and others to help organize and build the infrastructure necessary for Trop Rock music to achieve success and recognition internationally. Want to be a part of it all? 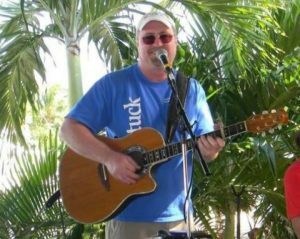 Like many Trop Rock fans, Mark’s first introduction to this laid-back style of music was Jimmy Buffett in the 1980’s while in high school and college. After a trip to Key West in 1995, Mark decided that his hometown of Tallahassee, Florida needed a Parrot Head Club. 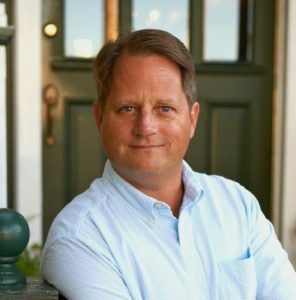 Even though he and his wife Heather moved away to Apalachicola, Florida in 1999, the club is still thriving today and “Partying With a Purpose”. 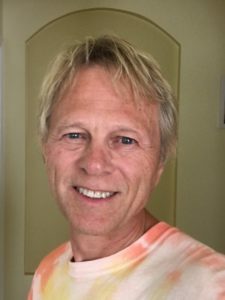 As a reprieve from his day job as a CPA and Financial Advisor, Mark started branching out into other independent Trop Rock artists by starting Migration Music and Migration Radio, which played and sold the music of the genre’s best singer/songwriters. Through this business venture Mark became good friends with James White and Jim Morris, who he persuaded to do a “Gulf Coast Highway Tour” in 2001 before they had ever played together. Needless to say it went well, a live CD was produced, the tour expanded to the east and west coasts, and “oh the stories we could tell” after all these years. After this, Mark was hooked. Several years passed and he wanted to do more with “Trop Rock” but wasn’t sure how. That’s about the time Tom Becker called in 2012 and asked him to be on the newly formed Trop Rock Music Association’s artist review board. Perfect! In 2018, Mark took over the reigns to revamp and expand the organization, as well as elevate the Trop Rock genre to new heights. The future looks bright and he’s excited about working to make a difference for the fan, artists, and all involved in this wonderful genre of music. Ken, his wife Heather and their two kids escaped the northeast (PA, MA and NY) 15 years ago and discovered two very important things. Being on a boat someone else is maintaining is better! 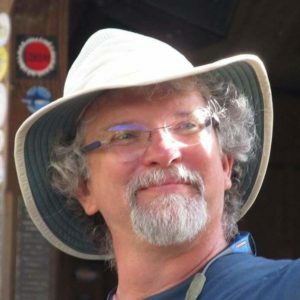 Running the sound board for The Habitat House Concerts for the last 2 ½ years and stepping in to help run sound when needed at events and musician's shows has been the perfect way of melding Ken's Electrical Engineering brain and artistic soul. Ken has dabbled in music his entire life and says he knows how to play most instruments just well enough to know he shouldn't play them in public! 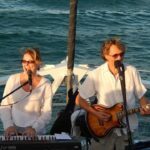 Getting to know the singer/ songwriters in the Trop Rock world has brought to the whole family both joy and a sense of purpose to what was previously simply a love of all kinds of music. Caribbean Lover, Music Maker and Pro Audio Regional Sales Manager... in that order. 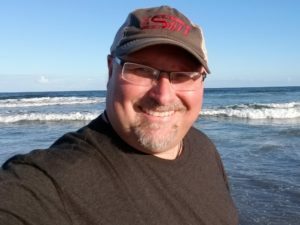 Growing up in landlocked Iowa, Aaron's heart always ached for the beach and laid back lifestyle, thus why he's found his way to Florida. With a degree in Audio Engineering working with Pro Audio Manufacturers and L.A. Recording Studios, it was only a matter of time before Aaron found TRMA... or did TRMA find him? Either way, he's going to assist with getting the word out about this fantastic organization. 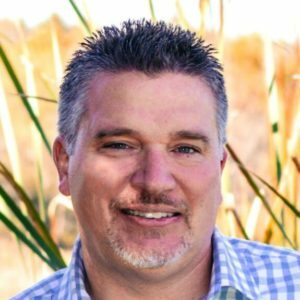 Eric has spent 25 years in the publishing and test publishing industry which has been a rewarding career. Still, tropical music was always his escape from a hard day of work and from the long Chicago winters. Not content with just being a fan of Trop Rock music, Eric ran a website for a local band for many years in 90s and 00s. His desire to share the music he loved with others culminated in the launching of TikiPod Radio in 2015. This platform has allowed him to get to know so much more about the musicians and their songs as well as to connect with fans from around the world. For over 20 years Cory has been writing, performing and working in the music business, from the streets of Lower Broadway and Music Row in Nashville, to the bars of Key West and the Keys. 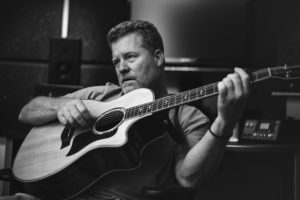 One of his first jobs on Music Row was recording and editing radio liners and working for Huntsman Music, where he also worked and became friends with Aaron Scherz and Ty Thurman, two friendships he still has today. 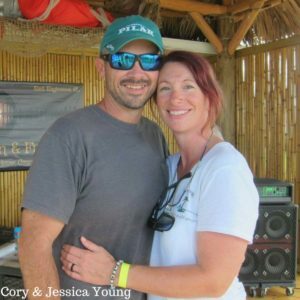 A lover of the ocean and sailing, Cory spent the past 5 years sailing the caribbean with his family on their 37ft sailboat. They then sold the boat, bought an RV, and toured the country. While gone, Hurricane Irma's devastating impact on the Keys forced his family to relocate, finally settling in Las Vegas. Settling into life on land, he is now back at work writing and recording a solo project due out before the end of 2018. When Cory left Nashville he thought he was walking away from music, only to find his home where the music meets the beach. A designer by trade, I have worked in many different aspects of design, including owning my own business. Before Parrot Heads, my volunteer job was Player liaison to the Virginia Slims Women's Professional Tennis League. In addition, I was involved in planning a variety of Junior League activities and Junior League galas. I love what I do with the Parrot Heads and would not have the opportunities and friends without them. I’m looking forward to putting time and effort into this group to further promote the music and the people that make it. I’ve been a card-carrying Parrot Head for over twenty years and a member of TRMA since it started in Margarita Mafia. I was in charge of the MOTM Mini-Mart and created a space for musicians to meet their fans and sell their wares to an audience they didn’t have ready access to. As PHIP Vice President, I fought to get the TRMA Awards ceremony to the Casa Stage to give it the glory and attention it deserves. I was born in Bermuda (My Dad was a Hurricane Hunter in the Air Force) and have lived most of my life on the Isle of Palms, S.C. The beach, music and coastal lifestyle are fundamental to me. 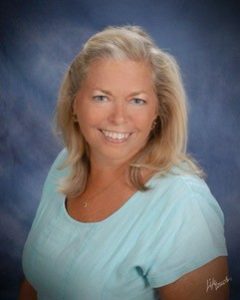 My professional career has spanned as a Credit Manager, Office Manager, Controller, and Corporate Treasurer for a marine electronics manufacturer. I have been a member of the Lowcountry Parrothead Club for 19 years and a member of TRMA since the Margarita Mafia days. Don Middlebrook is considered by many to be one of the founding fathers of Trop Rock music. For more than twenty-five years, he has blazed a trail of over 175 tour dates per year all across the United States. Middlebrook’s musical journey has taken him from Michigan to Key West, and from Ocean City, MD to Seattle, WA. With over 16 albums to his credit and a four-year extensive tour with Greg ‘Fingers’ Taylor, Jimmy Buffett’s harmonica player of twenty-six years, Don Middlebrook is a name that is well recognized in the Trop Rock world. 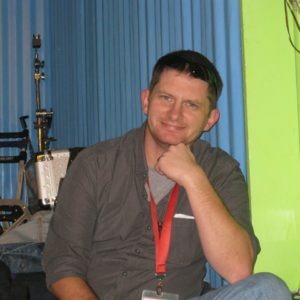 Middlebrook’s work has been featured in Showtime movies and on the Discover channel. He has warmed up the crowd before many nationally acclaimed acts such as: Reba McEntire, The Doobie Brothers, Hall and Oats, Jefferson Starship, Meatloaf, and Lynyrd Skynyrd. Tom is a singer/songwriter originally from the Chicago area. After touring with the legendary folk group, The New Christy Minstrels, he lived 10 years in Nashville and wrote and recorded for various music publishers. While in Nashville he met a singer/songwriter who would later become his wife, Michelle. Together they formed the duo, Latitude and began recording and performing their own music. In 2005 Tom and Michelle founded the Margarita M.A.F.I.A. which they later transformed into the Trop-Rock Music Association. Tom and Michelle are excited that the TRMA is now growing and transitioning to the next level and Tom is eager to be a part of the new TRMA. When not on the road performing, Tom and Michelle reside in Pawleys Island, South Carolina. If you’re looking for your beach, Rob Hill can help. One of the top songwriters in the world of tropical rock, his words and music will take you to the shore. And listening to the songs on his upcoming solo album Beach Town will leave you shaking the sand out of your shoes. Beach Town arrives in July 2017. From 2012 to the 2016, Hill spent much of his energy producing and promoting other artists, in particular award-winning vocalist Brittany Kingery, now based in Puerto Vallarta, Mexico, where her popular cabaret show Blame It All on Mexico is based largely on Rob’s music. 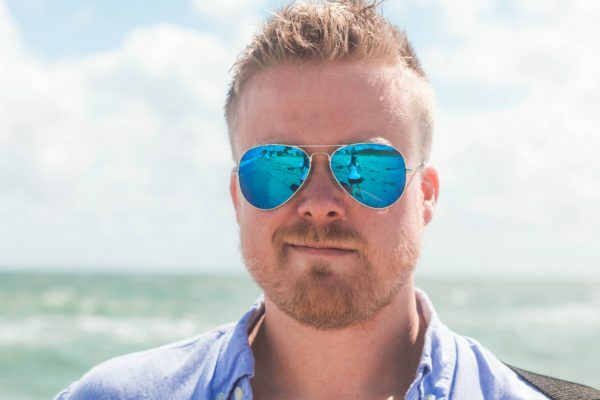 Having produced two albums of his music with Kingery, Rob has turned the spotlight back on himself with the anticipated release of Beach Town, his first album as an artist since the 2009 God, Love & Mexico album by the trio Game Six, which he fronted. And that’s saying something. 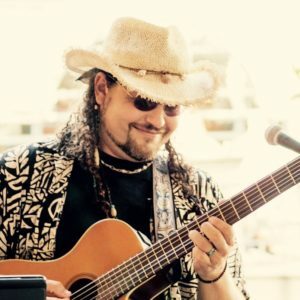 Rob has become a highly regarded singer-songwriter, in part within the tropical rock, or “trop rock” genre, a loosely defined niche of music that Rob describes as a blend of country, rock, reggae and island music whose unifying theme is tropical escapism. The Trop Rock Music Association named his song “Tequila Talking,” co-written by and recorded with Kingery, the Song of the Year in 2015, the same year that her Dream in Blue, a CD mostly comprised of Rob’s songs, was nominated as the Album of the Year in the genre. 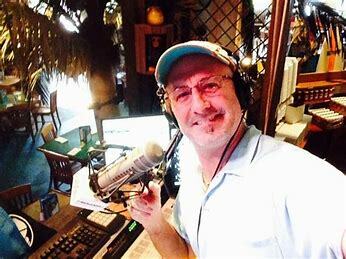 His music is in regular rotation on most of the major trop rock radio stations, including Beachfront Radio, Radio A1A, Songwriters Island Radio and The Shore Radio., among others. 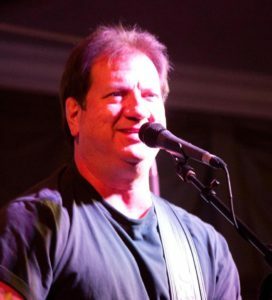 And although the trop rock genre has strongholds in Texas and South Florida, particularly the Florida Keys, Rob has traveled and performed all over the continent, and his music has been gaining attention not only among escapists but also among fans of acoustic music generally, and among music listeners that appreciate lyrics. “I've always been a fan of good lyrics,” says Rob, who counts Paul Simon and Dan Fogelberg among his songwriting heroes. While Beach Bums and trop rock enthusiasts tend to congregate in Florida and Texas, Rob says he finds there are sun-and-sand lovers and escapists all over the continent, and of course, a good song is appreciated everywhere. Just in the last couple of years he’s been performing from the Bahamas to Baja and Edmonton to Toronto and lots of places in between. For Rob, the venture into beach-themed music began with his affection for a Mexican coastal fishing village called Bucerías, an unlikely location for the Irish pub that became the inspiration for his chilled-out ballad “Shamrock Bar.” The song, thanks in part to a no-budget music video shot on a Sony HandyCam on a day of heavy drinking in Mexico, became a point of pride in the village and made the now-closed pub a tourist attraction in itself. Since then, his sun-and-sand inspired music has been inspiring others to find their literal and metaphorical beaches. Rob says he used to think there was a limit to how much he could write about tropical themes without getting cheesy and cliché. Turns out he might have been wrong. Jerry Diaz is a musician, singer, and songwriter from the Upper Texas coast. Since 2002, he has fronted his own band, “Jerry Diaz & Hanna’s Reef”, and performed solo shows throughout the country as well. Previous to 2002, Diaz was a member of one of the very first Trop Rock bands in the country, “Key West the Band”. Also a recording artist, Diaz was part of three albums from the Key West the Band days, and currently has 4 CDs available with Hanna’s Reef. In 1992, Diaz formed an event called “Meeting of the Minds”, which is still popular today, and presented by PHIP, the parent organization of Parrot Head clubs throughout the world. In addition to MOTM, Diaz has developed numerous other musical events, the most popular of which is “Pardi-Gras”. Pardi-Gras has been running continually since 1997, giving it the distinction of being the second longest running Trop-Rock event, eclipsed only by MOTM. It is also the largest Trop Rock event in the country that is not presented by a Parrot Head organization. In 1996, Key West the Band organized a “fan” trip to Playacar, Mexico, that was repeated again in 1998, 1999, and 2001. These are believed to be the first Trop Rock” getaway vacations, and are an early model for Diaz’s current “Sail Away Promotions” fan vacations. As a promoter, Diaz has worked successfully with many Trop Rock artists, and venues, to develop the genre by spreading live Trop Rock music throughout the country. As a songwriter, a handful of his songs are covered by other Trop Rock artists, and a few have been recorded. Diaz has won 7 TRMA Trop Rock awards since their inception, for the band, as a songwriter, and for the event Pardi-Gras. In 2016, PHIP awarded Diaz a lifetime achievement award called the “Tin Cup Chalice”. It has only been awarded to one other person (Jimmy Buffett). It is currently on display in a glass case at the Tropical Isle on Bourbon Street, New Orleans. Donny Brewer is a Texas born and raised super fan of music, from rock and blues to country and jazz, but mostly Trop Rock. He also happens to be multi-instrumentalist, songwriter, and touring singer of the music he loves, often with his band the Dock Rockers. He’s a 9 time TRMA award winner and persistent researcher of escapist lifestyle song material. Jon Burns is the executive producer of Pirates & Poets, a organization that has been introducing independent artists to new fans since 2010. He's been involved with Trop Rock music since 2005, and currently serves as the Stage Manager for Pardi-Gras and several other events. He lives in Kemah, Texas and is a professional beach bum. I’m one of those who has always loved music. My earliest performance memory was at age four at church and by age 8, I was studying piano. The choral and solo road continued and I wound up with two music degrees from Baylor University. 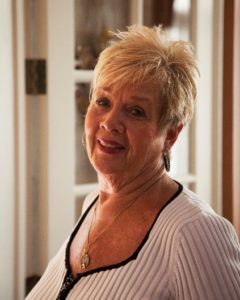 I’m a former elementary music teacher and directed church children’s choirs for 32 years. Somewhere along the way, I expanded my musical horizons and was listening to Jimmy Buffett by the early 90s. When I attended my first concert back in 1991, I was hooked. After several years of Buffett concerts, reading his books and learning about him, I finally joined the San Antonio Parrot Head Club. It was through the club that I began to learn about Trop Rock and the singers/ songwriters who make the music. A few years ago, I started writing a column about Parrot Heads and Trop Rock for a (no longer published) print magazine. I truly became hooked on meeting and interviewing the musicians and am now have 80 musician interviews under my belt. 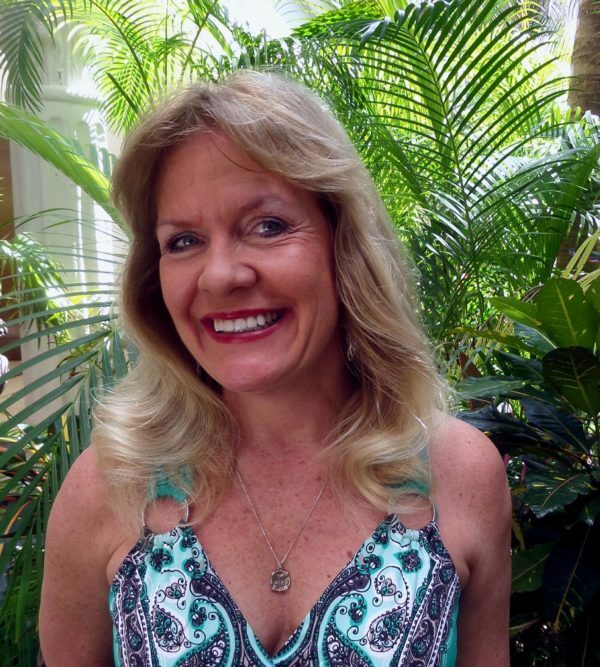 I began contributing the "Artist Spotlight" in TRMA's monthly newsletter and also became a "Trop Rockin' Gal" when I stared to write for Trop Rockin' magazine. One of my favorite parts of going to MOTM, Pardi Gras, or other Trop Rock music events is to forge new musical relationships. Some of those relationships show up in my cozy mystery, "Schooled For Murder." Currently, I'm working on book number two. I have a beautiful daughter, Lauren Bates, who lives in Dallas and is an artistic floral designer. I’m married to wonderful Don Muir, live in San Antonio and we have a second home in Port Aransas, Texas. Come see me if you’re ever on that part of the Gulf Coast. We’ll share a cold libation and listen to… what else? Trop Rock! Hailing from the land of tall corn (as opposed to tall palms), Bart Mason is a mild-mannered educator by day & a promoter of all things Trop Rock by night. He “discovered” Trop Rock nine years ago when he got involved with the Isle of Iowa Parrot Head Club. In his five terms as president, he has worked tirelessly to expand the club’s definition of Trop Rock beyond Jimmy to the wonderful artists who make up the heart & soul of the genre. His efforts have provided many artists with the opportunity to perform at club concerts, in iconic Iowa venues & at special events in the great state of Iowa. Eric recently retired after 26 years of Naval service traveling the globe. His first assignment in the Navy consisted of sailing the Caribbean making frequent port visits in the tropics. It was at this time he realized he loved everything tropical. Since he always had a love for music these experiences led him to Trop Rock music even before it had that name. Around 1998 Eric and his wife Gina went on a “Music and Margaritas” cruise hosted by Jerry Gontang. The following year they attended Riddles In The Sand. These experiences were the springboard that launched him into his love for independent trop rock performers. His Naval service and deployment schedule prevented him from becoming more involved in the trop rock community until his last duty station of Pensacola Florida where he served on the Lower Alabama Parrothead Club and Stars Fell On Alabama boards. 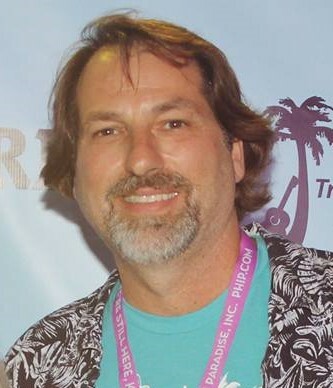 He and his wife Gina have spent the last two years traveling the country sharing their love for trop rock and promoting the genre as owners of Radio Trop Rock.